It’s been well documented that there is history between The Miz and Daniel Bryan. 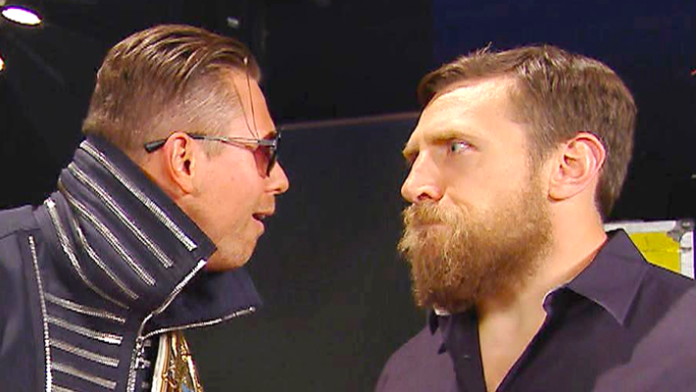 Now that Bryan has been cleared to return to in-ring action, it’s just a matter of time before the WWE books Miz and Bryan in a program on the blue brand. If you recall, Miz was Bryan’s coach on the very first season of the NXT reality series. They have wrestled some matches while on the main roster together. The Miz spoke to Sports Illustrated’s Extra Mustard section last week. During that interview, he was asked about the potential feud with Bryan, which was when Miz started to make headlines. Miz regularly appeared on Talking Smack while he was on the blue brand and had a famous segment with Bryan on the show. If you recall, this most memorable moment took place on the August 23rd, 2016 edition of Talking Smack. The Miz went off on Bryan after being called a coward for his wrestling style. It was one of the most memorable promos of the past few years and fans were left wondering if it was scripted or not. SPORTbible was able to speak with Bryan and get his response to The Miz’s comments. What are your thoughts on Bryan’s comments? Sound off in the comment section below.